This is the conclusion of the fourth year of the ORMS program! How the time has flown and how things have changed!!! It's hard to say just what impact our volunteers have had on the visitor experience to Old Rag. With exponential increases in the levels of visitorship over the past several years, the negative impact to the trails, plants and rocks themselves is very noticeable.. despite volunteer efforts! Operating much as the National Ski Patrol does at snowsports areas, ORMS volunteers are always training for emergency situations which are specific to Old Rag. The final weekend involved a lot of visitor outreach, an amazing amount of high level technical training and the construction of a "highline" for load transfer and difficult rescue scenarios.. definitely memorable training for all participants and spectators alike!! This is also the time of year when receive a lot of inquiries about "how to become and Mountain Steward". The second step is , after you have been vetted, is to join us for a few days of "hike along" training on the mountain.. Following a successful "hike along season" , you will then be invited to join the Stewards for their formal training programs... and that is when it really gets going! For all of you researching this site in preparation for a hike this weekend, Nov 5-6. The trails in the shadows and on the NW side of the mountain are very treacherous with packed snow and ice. While the daytime temperatures have been rising above freezing, the longer nights are well below 32. The result is midwinter trail conditions.... with the very high visitation that always occurs in Fall. 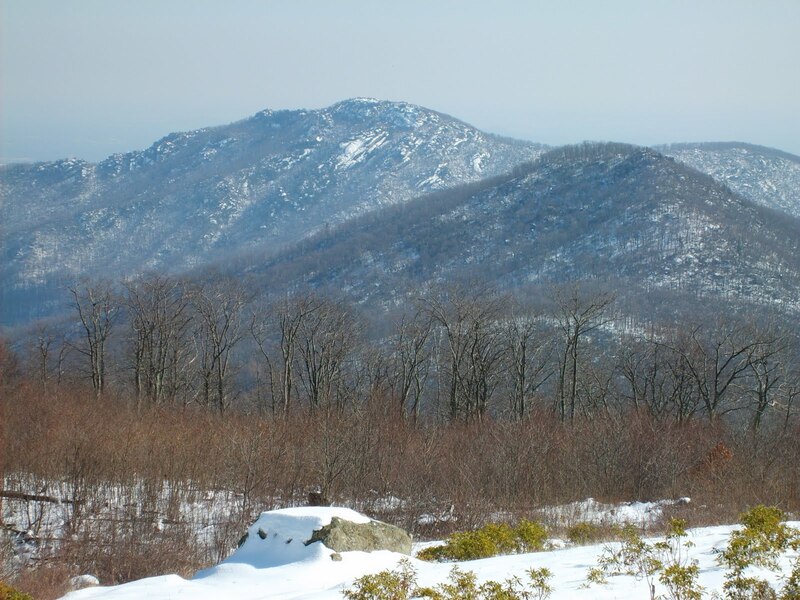 Old Rag has been and will be colder than wherever you are coming from. As you are aware, or should be if you are not, a slip and fall in the scramble can have very significant consequences. Ice and snow exacerbate those slippery conditions. .. and a fall can result not only in a physical injury but a long cold wait for help.. Remember those who respond to accidents also have to deal with the ice and snow. We hope you have a memorable and safe hiking day on Old Rag!